Although many people seem to think that weight loss and fat loss are one and the same thing, there is a world of difference between these two. When you start dieting and exercising, you don’t automatically lose fat. Sometimes you end up losing muscles, which is something you want to avoid. In order to start losing fat, you need to understand that losing weight is not as same as burning fat. You often hear people that say they want to lose weight when what they really want to do is lose fat. As a result of this mental approach to the problem, they start their journey on the wrong foot. Although they know how much they weigh, most of them don’t know how much of that is lean muscle mass, and how much is the body fat percentage. The get up on the scale thinking that if they lose 50 pounds they will be fine. As a result, they go on dieting, cutting down the calories and doing a lot of cardio exercises. However, as a result they just look smaller, but with high percentage of body fat. The reason for that is that they were focused on lowering the numbers of the scale, when they should’ve been addressing their excess fat problem. Another of the mistakes that people tend to do is counting only the number of calories they introduce in their bodies. In their effort to reduce this number, some will opt for cutting out an entire food group. This also can result in losing muscles instead of fat. If you want to trim your physique, looking smaller and in better form, you cannot simply rely on cardio. The best way to melt those fat layers is to include heavy resistance training in your routine. Although it’s true that cardio exercises can turn your body into a great calorie furnaces, you also need to tone your muscles and increase their size. When you tone the muscles, they start showing under your skin. By reducing the fat and water quantity between your skin and your muscles, you emphasize the muscles. One of the best ways for toning your muscles is by incorporating calisthenics or heavy weight workouts. Another reason why you want to increase your muscle size is that this will help you in your fat burning efforts. The larger the muscles, the more energy they need to function, which simply translates into increased calorie expenditure. 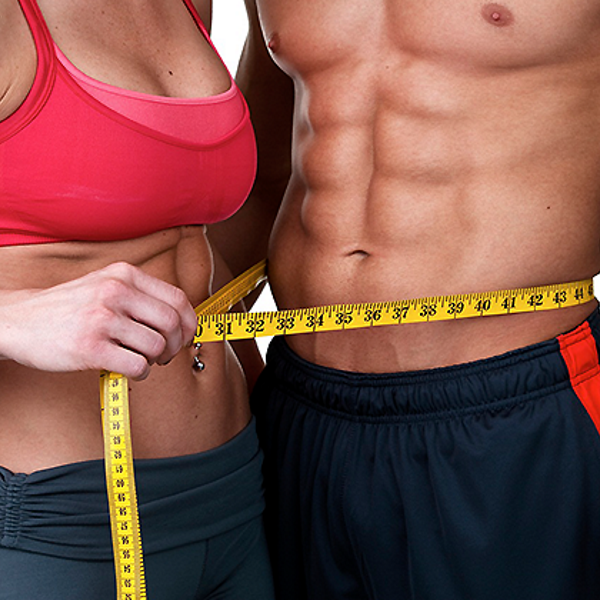 Of course, proper dieting is very important factor of your fat losing process. When dieting many people choose to completely cut out an important food group, thinking that in that way they are reducing the calorie intake. The truth is that this can do more damage to your body. When you drastically decrease your calorie intake while doing excessive amount of cardio exercises, you may end up losing muscles instead of fat. When you’re not providing your body with fuel for the muscles, they can’t build up. And, as we have stressed out before, you don’t want your weight loss to be muscle loss. You want to shed the fat. The number of the scale are really not important. OK, they are important to some extent, but what matters more is what is your body fat percentage. What matters is how much lean muscle mass you have. That’s why, next time you want to shed some pounds from your body, don’t think about that as weight losing process, but as fat losing process. Your training and dieting should be tailored to help you in melting down fat. Include weight lifting training in your routine, take it easy on the cardio and eat balanced diet. Carbs, protein and fats must be included in your diet. Only by balancing these three ingredients you can achieve stabile and thorough weight loss. Should You Do Direct Arm Training?